ABU DHABI, 2 days ago. Experts will discuss plans to reduce the negative impacts of pest control with a sustainable and environmentally cautious approach, at a conference in Abu Dhabi next year. The Pest Control and Public Health Conference, arranged for the first time during the third edition of EcoWaste, will take place on January 19 and 20. Illegal pesticide substances and unauthorised pest control companies have proven to be harmful for the environment, and have been responsible for a number of deaths and serious illnesses in UAE over the past few years, said a statement. Tadweer, the Centre of Waste Management, Abu Dhabi, has revealed four new pest control projects to be implemented across the capital, Al Ain and the Western region, which will be addressed, together with other safe and eco-friendly initiatives, during the dedicated conference. “A lack of awareness of safe pest control methods has a negative impact on the environment, as well as the health of UAE residents, making it a main priority for Tadweer." Global experts and leaders in the pest control industry from Australia, Spain, US and the Middle East, including the UAE, are expected to discuss the latest industry trends, and highlight healthier alternatives to pest control procedures. Other key topics to be discussed include the use of environmentally-friendly and low-toxicity substances, safe handling of pesticides, biological pest control through adopting Integrated Pest Management (IPM) programmes, and efforts made in the UAE toward the eradication of malaria, in collaboration with the Ministry of Health. 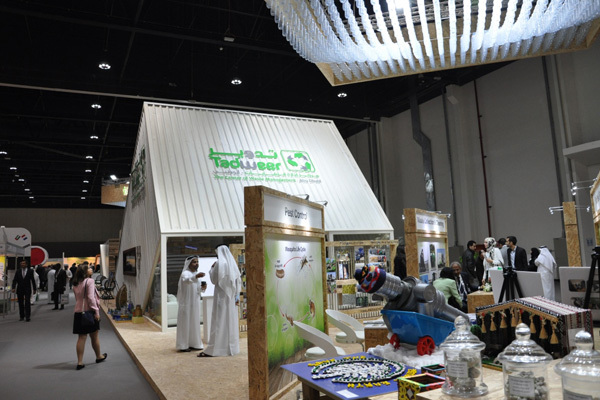 The conference will be supported by a dedicated pest control pavilion showcasing the latest innovations in the industry, and offering insights on best practices.